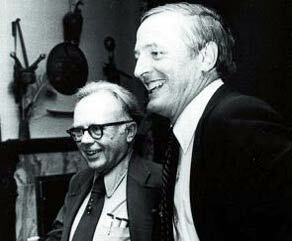 Sam Tanenhaus ... is writing a biography of William F. Buckley Jr., who died Wednesday. Q: What is the most surprising discovery you’ve made while working on this biography of William F. Buckley Jr.? ... A: There were two. First, he would rather talk about almost anything other than politics — literature, music, sailing, music. He once told me, 'I only talk about politics when someone pays me to do it.' Second, I never heard him make a personally disparaging remark about anyone, even adversaries like Arthur M. Schlesinger Jr. and Gore Vidal. He might describe something they did or the style in which they did it, but never in an insulting or even critical way. He had a large sense of the human comedy... Q: What was Buckley’s view of the current Bush administration? A: He was most distressed by it and once said if the United States had a parliamentary system, President Bush would be subject to a “no confidence” vote. He was highly critical of the war in Iraq and wrote eloquent columns on the subject in his last years."